The “Belt and Road” program aims to increase trade along the ancient Silk Roads. The development of rail transportation between China and Europe is an important objective of the BRI. Trains already link some Chinese provincial capitals to several European cities. This mode of transport has several advantages, it is faster than by sea, and less expensive than by air. However, it still more expensive than maritime shipping. These railway lines are not only used by Chinese companies, today European goods are also shipped to China by trains. However, to attract even more companies, this Europe-China link must become even more competitive compared to sea shipping. An additional effort must be made to reduce transport time. Today these trains are delayed due to changes of bogies when entering Kazakhstan and Brest Litovsk on the border between Poland and Belarus. This is because former Soviet Union states do not use the same gauge standards as China and the European Union. In Kazakhstan and Russia, the gauge is wider and wagons have to be moved to other bogies. this long and complex operation takes several hours. In 2004, Kazakhstan planned the adoption of the standard gauge system to facilitate commercial transport to China. However, today the broad gauge system remains the norm in Kazakhstan. The solution to this obstacle could come from the Chinese railway manufacturer “China Railway Rolling Stock Corporation”. In May 2017, CRRSC announced to be working on the construction of new trains that could adapt to different types of gauges, making transport between China and Europe even faster. However, the development of rail transport between China and Europe will have to overcome some other challenges in order to be more competitive with maritime transport. The first step is to facilitate customs clearance between states. The principle of “one declaration, one inspection, one one customs clearance” must become the rule for this type of intercontinental transport. 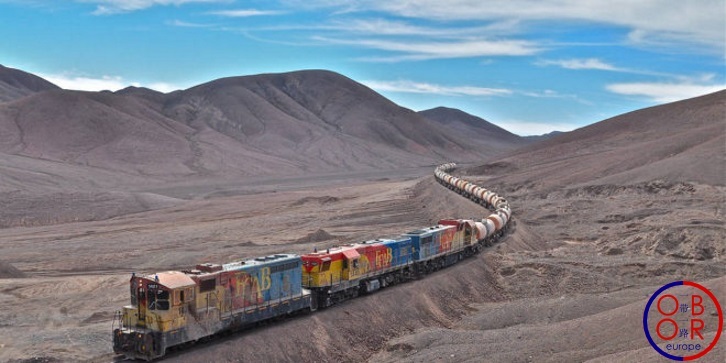 Finally, it is also necessary to protect goods transported on these trains in the best possible way, using wagons that are built to cope with extreme weather conditions (in particular because of the low winter temperatures in Kazakhstan and Russia). Share the post "Faster trains between Europe and China?"